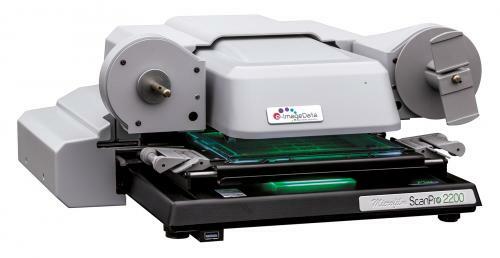 ​We’re moving microfiche research into the digital age with our newest innovation, the AUTO-Fiche™ Carrier. Never before seen in the micrographics industry, the AUTO-Fiche Carrier eliminates the manual work of moving the fiche carrier to find your desired image. The AUTO-Fiche Carrier is operated entirely by on-screen controls, allowing users to move directly through the fiche image-by-image, anywhere on the fiche, with a single click. In addition, the AUTO-Fiche Carrier can automatically scan a range of images or the entire fiche, seamlessly and with unparalleled accuracy making research easy, efficient and hassle-free. "The AUTO-Fiche Carrier is awesome! Can't wait to add it to our SP2200." "The AUTO-Fiche Carrier may be exactly what we need to convert all 50,000 fiche we want to digitize!"